Begin the year right with the best air quality you can get for your home. Not only a clean, quality indoor air will give you an odorless home environment but also a better overall home experience for you and your family. Indoor air quality is not a fancy obligation you should be doing for your home. Rather, it plays a key role in your health. That’s why you shouldn’t be overlooking the quality of your air at home. If you want to improve and maintain your indoor air quality this year, here are some tips you should follow. Make sure to replace your filters at least every three months, or more frequently if you have a health condition. An air filter is important for trapping dust, germs, and other allergens. 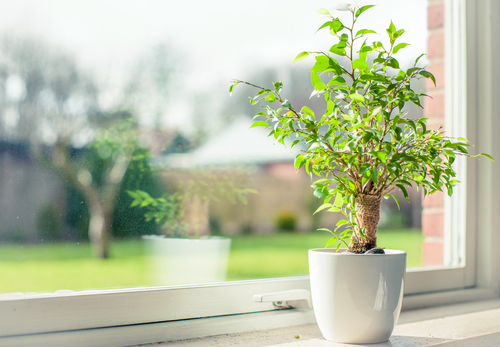 A green plant helps filter your air and act as natural air filters. Not only they look good, but also helps you maintain a better air quality! There are more dirt and debris on your carpet that your vacuum can’t reach and only professional carpet cleaners can give you a solution. Make sure your carpet gets that expert cleaning at least once a year. Chances are, if there is a mat by your door, your guests will automatically scrape the debris from their shoes and thus giving you less dirt to deal with. Sure, the different air fresheners and fragrances available in the market smell good and tempting. But these can contribute to more chemical pollution in your home. Opt for an odor-free home instead. Not only your home will smell good, but will also be a safer place for you and your family to stay in. Because without the air pollution at home, you can definitely improve not only your air quality but also your health!